One night while my daughter Callie was taking her bath, she was filling up these little stacking cups with water. Some of the cups had holes in the bottom. Others didn’t have any holes in them. One little green cup was like a strainer with tons of holes in the bottom. She kept trying to fill it up, but water kept flowing out through the bottom. Then it was like the Lord impressed upon my heart that I need to be like that little green strainer cup. I need to do everything I can to fill up with Him so He can flow out of me and into others’ lives. If we fill up with truth and allow the Lord to flow through us, just like that little green strainer cup, the more lives the knowledge of the Lord will flow into. What we are learning about the Lord and HIs Word is so good. What God is teaching us is wonderful, and it is important that we put what we are learning into practice in our own lives. The Lord also fills us up so that we can then share that truth with people that the He places in our paths. Let’s not be like the cups with no holes, or just one hole in the bottom. Let’s be like the little green strainer cup, full of holes and outlets. Let’s look for opportunities to pour truth into others everywhere we go. We don’t just have any water flowing through us. As the scripture says, we have rivers of “Living Water” flowing through us…Water that brings life, truth, peace, and healing. 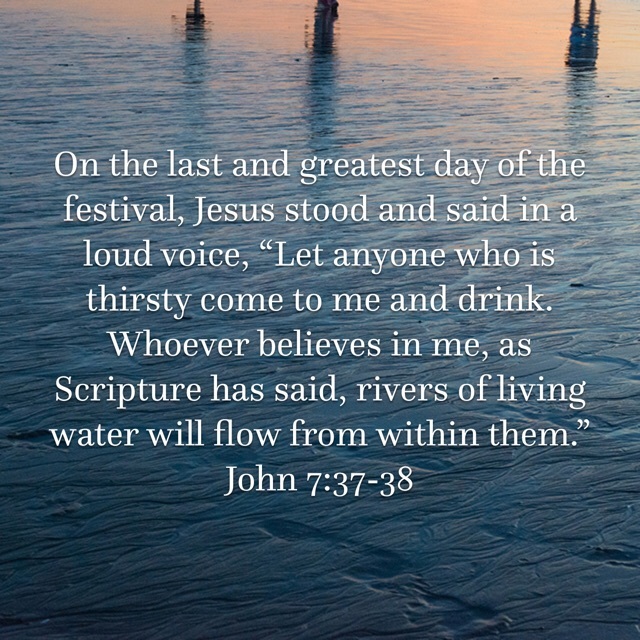 Our broken world is in desperate need of this Living Water.